The International law bearing on issues of Arab-Israeli conflict, which became a major arena of regional and international tension since the birth of Israel in 1948, resulting in several disputes between a number of Arab countries and Israel. There is a broad international consensus that the actions of the nations involved in the Arab-Israeli conflict violate prohibitions contained in international law. However, this legality is disputed by some of the nations involved. As a result of the Six-Day War in 1967, Israel came to occupy land invaded and occupied in 1948 by neighboring Egypt, Syria and Jordan. Following the peace treaties between Israel and Egypt and Israel and Jordan, the conflict today largely revolves around Palestinian statehood. the legal status of the Palestinian refugees from the 1948 Arab-Israeli war and subsequently. Unlike a treaty agreement, customary international law is usually not written. Customs of a longstanding nature can be codified by formal treaties. The Laws and Customs of War on Land (Hague IV) of 18 October 1907 and the Geneva Conventions of 12 August 1949 are examples of conventional laws that are declarations of customary law. To prove that a certain rule is customary one has to show that it is reflected in state practice and that there exists a conviction in the international community that such practice is required as a matter of law. In this context, "practice" relates to official state practice and therefore includes formal statements by states. A contrary practice by some states is possible because if this contrary practice is condemned by the other states, or subsequently denied by the government itself, the original rule is actually confirmed. In accordance with article 13 of the UN Charter, the General Assembly is obligated to initiate studies and to make recommendations that encourage the progressive development of international law and its codification. Acting in that agreed-upon treaty capacity, the General Assembly affirmed the principles of international law that were recognized by the Charter of the Nuremberg Tribunal and directed that they should be codified. Many of those same principles were subsequently adopted for inclusion in draft treaties that were under development by the International Law Commission of the United Nations. They were also incorporated through the agreement of the High Contracting Parties into the Geneva Conventions of 1949. In 1993 the UN Security Council "acting under Chapter VII of the Charter on the United Nations" established an international tribunal and approved a Statute that had been recommended in a report submitted by the Secretary General. It concluded beyond doubt that the law applicable in armed conflict as embodied in the Geneva Conventions of 12 August 1949 and the Hague Convention (IV) of 18 October 1907 had become part of international customary law, and should be part of the subject matter jurisdiction of the International Criminal Tribunal for the former Yugoslavia. In 1998, the United Nations Diplomatic Conference of Plenipotentiaries approved the Rome Statute of the International Criminal Court. The offenses against unwritten customary international law were amenable to prosecution by international tribunals, like the Nuremberg Tribunal, long before they were codified and incorporated into the subsequent treaties. The Israeli perspective is that the United Kingdom only had the mandate to propose solutions in keeping with the resolutions adopted at the San Remo Conference, not to amend them. In other words, that the relevant resolutions adopted at the San Remo Conference are the public law that awarded the Jewish people de jure sovereignty over Palestine. The war in 1967 brought all remaining parts of the Mandate (as defined by Great Britain in 1947) as well as parts of the Golan Heights under Israeli administration. Israel subsequently annexed East Jerusalem, asserting that the West Bank and Gaza were "disputed territories". Recognizing the controversial nature of sovereignty over Jerusalem, UNSCOP recommended that the city be placed under United Nations administration in the partition plan. This was approved by the General Assembly in November, 1947, accepted by the Jews and rejected by the Arabs. However, the 1948-1949 war resulted in Israel occupying the western portion of the city. Israel made Jerusalem its capital in 1950, establishing governmental offices in areas it controlled. Soon afterwards in 1950 Jordan annexed the eastern part along with the remainder of the West Bank. The International Committee of the Red Cross' commentaries to the Geneva Conventions state that Article 49, paragraph 6, "is intended to prevent a practice adopted during the Second World War by certain Powers, which transferred portions of their own population to occupied territory for political and racial reasons or in order, as they claimed, to colonize those territories." It further notes "that in this paragraph the meaning of the words 'transfer' and 'deport' is rather different from that in which they are used in the other paragraphs of Article 49 since they do not refer to the movement of protected persons but to that of nationals of the occupying Power". The Committee has on several occasions described the establishment of Israeli settlements in the occupied territories as a violation of the Fourth Geneva Convention. 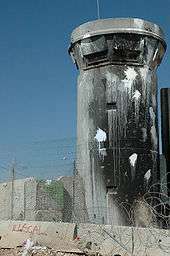 the International Court of Justice, in paragraph 120 of its advisory opinion on the "Legal Consequences of the Construction of a Wall in the Occupied Palestinian Territory", asserts that: "That provision [article 49(6)] prohibits not only deportations or forced transfers of population such as those carried out during the Second World War, but also any measures taken by an occupying Power in order to organize or encourage transfers of parts of its own population into the occupied territory" and "concludes that the Israeli settlements in the Occupied Palestinian Territory (including East Jerusalem) have been established in breach of international law". The dissenting judge Thomas Buergenthal agreed that "this provision applies to the Israeli settlements in the West Bank and that their existence violates Article 49, paragraph 6". Article 8(2)(b)(viii) of the International Criminal Court Rome Statute defines "[t]he transfer, directly or indirectly, by the Occupying Power of parts of its own civilian population into the territory it occupies" as a war crime. Israel did initially sign the statute, but later declared its intention not to ratify it. Article 49 of the Fourth Geneva Convention is limited to transfers or deportations into or out of Occupied Territories which are 'forcible'. The barrier attempts to separate Palestinians from their means of livelihood and from interaction with others and is therefore qualifies as Apartheid. Apartheid is illegal as per the 2002 Rome Statute of the International Criminal Court and is considered a crime against humanity (see also: Israel and the apartheid analogy). Israel did not begin building the fence until 2003, when terrorism reached unprecedented levels. Only 5%-8% of the West Bank and less than 1% of Palestinians will end up on the Israeli side of the fence. In 2004, the United Nations passed a number of resolutions and the International Court of Justice issued a ruling where judges ruled 14–1 that the portions of the Israeli West Bank barrier that are located within occupied Palestinian territories are illegal under international law. Prior to the ruling, Israel had made the claim that the ICJ lacked standing to rule on the legality of the barrier, which the court unanimously rejected. On July 20, 2004, the United Nations General Assembly passed a resolution demanding that Israel obey the ICJ ruling. 150 nations voted in favor of the resolution, 7 voted against, and 10 abstained. The construction of the wall by the occupying power Israel in the Occupied Palestinian Territory, including around East Jerusalem and it's regime are "contrary to international law". Israel is obligated to "make reparation for all damages caused" by the wall, including around East Jerusalem. All states are under an obligation not to recognize the illegal wall and "not to render aid or assistance in maintaining the situation", and to "ensure compliance by Israel with international humanitarian law" in accordance with the Fourth Geneva Convention relating to the Protection of Civilian Persons in Time of War 1949, while "respecting the United Nations Charter and international law, as embodied in that convention". The opinion were passed 14-1 by the court judges, except for the 4th decision which was passed 13-2. Paragraph 6 of Article 49 of the Fourth Geneva Convention also does not admit for exceptions on grounds of military or security exigencies. It provides that "the Occupying Power shall not deport or transfer parts of its own civilian population into the territory it occupies". I agree that this provision applies to the Israeli settlements in the West Bank and that their existence violates Article 49, paragraph 6. It follows that the segments of the wall being built by Israel to protect the settlements are ipso facto in violation of international humanitarian law. Moreover, given the demonstrable great hardship to which the affected Palestinian population is being subjected in and around the enclaves created by those segments of the wall, seriously doubt that the wall would here satisfy the proportionality requirement to qualify as a legitimate measure of self-defence. The opinion was accepted by the United Nations General Assembly, on July 20, 2004, it passed a resolution demanding that Israel obey the ICJ ruling. Israel, the U.S., Australia, the Federated States of Micronesia, the Marshall Islands, and Palau voted against the resolution, 10 nations abstained, and 150 nations voted in favor. Israel rejected the ICJ ruling and emphasized the barrier's self-defense aspect , and stressed that Israel will continue to build the barrier. The United States also rejected the ruling, declaring that the issue was of political rather than legal nature. Colin Powell stated that barrier was effective against terror, and noted that the ICJ ruling was not binding, but insisted that Israel not use the barrier to predetermine permanent borders. On July 13, 2004, the U.S. House of Representatives passed Resolution HR 713 deploring "the misuse of the International Court of Justice (ICJ)... for the narrow political purpose of advancing the Palestinian position on matters Palestinian authorities have said should be the subject of negotiations between the parties." The Resolution further stated that twenty three countries, including every member of the G8 and several other European states, had "submitted objections on various grounds against the ICJ hearing the case." Under UNRWA's operational definition, Palestine refugees are persons whose normal place of residence was Palestine between June 1946 and May 1948, who lost both their homes and means of livelihood as a result of the 1948 Arab-Israeli conflict. UNRWA's services are available to all those living in its area of operations who meet this definition, who are registered with the Agency and who need assistance. UNRWA's definition of a refugee also covers the descendants of persons who became refugees in 1948. ↑ Falk, Richard (July 20, 2004). "Support for Wall Mocks International law". Miami Herald. -- "What is most remarkable about the International Court of Justice decision [...] is the strength of the consensus behind it. By a vote of 14-1, the 15 distinguished jurists who make up the highest judicial body on the planet found that the barrier is illegal under international law [...] The International Court of Justice has very rarely reached this degree of unanimity in big cases. The July 9 decision was even supported by the generally conservative British judge Rosalyn Higgins". ↑ See article section "Occupied" vs. "Disputed" territories: "[the] international consensus, excepting the U.S. in some cases, is that [the] annexation of the Golan Heights and East Jerusalem are illegal and not recognized by international law"
↑ Klapper, Bradley S. (November 13, 2008) "Switzerland says Israel breaking international law" Associated Press. -- "An Israeli Embassy spokeswoman [...] said the decision [...] was sanctioned by law." ↑ "United Nations Bibliographic Information System Search Results: Palestine Question". May 1, 2010. Retrieved 2010-05-01. ↑ "The Avalon Project : Documents in Law, History and Diplomacy". Retrieved 22 April 2016. ↑ Statute of the International Criminal Tribunal for the former Yugoslavia, Security Council Resolution 827, 25 May 1993 The drafters of the Statute had explicitly declined to make it a self-contained criminal code. They instead granted the Tribunal jurisdiction over a set of very broadly defined crimes, the specific content of which was to be found in customary international law. Though the Tribunal recognized that binding conventional law could also provide the basis for its jurisdiction, it has in practice always determined that the treaty provisions in question are also declaratory of custom. ↑ "Customary law". International Committee of the Red Cross. Retrieved 22 April 2016. ↑ "The Avalon Project : United Nations Charter; June 26, 1945". Retrieved 22 April 2016. ↑ see General Assembly Resolution 95 (I), 11 December 1946, and UN General Assembly Resolution 177. ↑ see Evidence of State practice. ↑ "Hasani - Uti Possidetis". Retrieved 22 April 2016. ↑ "The Avalon Project : Inter-American Reciprocal Assistance and Solidarity (Act of Chapultepec); March 6, 1945". Retrieved 22 April 2016. ↑ "Avalon Project - The Covenant of the League of Nations". Retrieved 22 April 2016. ↑ United Nations High Commissioner for Refugees. "Refworld - Declaration on Principles of International Law concerning Friendly Relations and Cooperation among States in accordance with the Charter of the United Nations". Refworld. Retrieved 22 April 2016. ↑ "Political Communiqué of the Palestine National Council and Declaration of Independence of 15 November 1988". United Nations General Assembly Security Council. 18 November 1988. Retrieved 11 July 2011. ↑ Shalim, Avi (2000). The Iron Wall. Penguin Books. pp. 117–119. ISBN 978-0-14-028870-4. ↑ Quigley, John B. (2005). The Case for Palestine: An International Law Perspective. Duke University Press. pp. 93 and 226. Retrieved 1 July 2011. ↑ "International Court of Justice condemns Israel's wall". July 13, 2004. Retrieved 2010-05-01. ↑ "DISPUTED TERRITORIES- Forgotten Facts About the West Bank and Gaza Strip". Retrieved 5 April 2010. ↑ "Israel's Newly Approved Security Fence Route:". Retrieved 22 April 2016. ↑ "The West Bank Fence:". Retrieved 22 April 2016. ↑ "High Court of Justice rules on security fence around Alfei Menashe". GxMSDev. Retrieved 22 April 2016. ↑ "UN rules against Israeli barrier". BBC News. 2004-07-09. Retrieved 30 June 2010. 1 2 Legal Consequences of the Construction of a Wall in the Occupied Palestinian Territory, International Court of Justice Advisory Opinion, July 9, 2004, paragraph 163. ↑ John Dugard (30 June 2006). International Law: A South African Perspective. Kluwer. p. 477. ISBN 978-0-7021-7121-5. Retrieved 3 May 2013. ↑ "A Critical Analysis of the Revised UNHCR Interpretation". BADIL. November 2002. Retrieved 11 July 2011.